alpacaEstore - From raw materials, to fiber prepared for spinning and weaving, yarns, finished original-design fashion accessories, and teaching spinning, weaving, felting, and dyeing........... we hope you will join us for fun and learning !﻿ Welcome 2019 ! The schedule of shows and classes is available by clicking on the appropriate tabs on the right. New classes and events just added to our Learning Opportunities section.Join us for Open Spin nights on the second and fourth Monday of each month at Long Tail Knits in Macedonia. Bring your wheel, your latest project, and enjoy the evening with us. Have you tried one of our needle felting classes? No experience necessary. No special tools. We choose a holiday or seasonal theme each month, and include a new technique with each project. Classes sell out fast but once a class is filled we schedule a second class for that project so that we can accomodate as many people as possible. The list is in our Workshops section. Loads of laughs and something special to take home each time. We are wild about weaving!!!! Curious about weaving? Our beginner class includes the use of one of our Ashford Sample It looms so that you can learn how to use the loom, make a scarf, and decide if weaving might be your new passion. This is the ULTIMATE STASH BUSTER ! The Sample It is inexpensive and very easy to use. No crafting skills required. 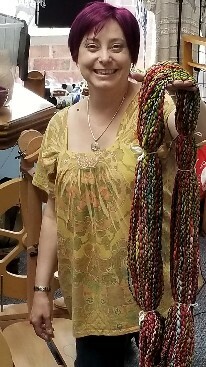 Long Tail Knits is an authorized dealer for all Ashford products, so if a larger loom is what you want, Jeannine can take your order. We are very pleased to add loads of spinning and felting supplies to our product assortment. We specialize in longwool conservation breed sheep's wool and locks, mohair, loads of sparkly shimmery, glitzy stuff, AND alpaca, both suri and huacaya, in all forms for spinning and felting. Long Tail Knits is now a dealer for Ashford Spinning Wheels. Both the Country Spinner 2, Traditional, and the new folding Kiwi 3 models are always available for a demo at the store. I have also purchased the new Ashford e-spinner 3 and would be happy to bring it to the store for a demo. Just call Jeannine to set up a time. Check the Workshops & Learning Opportunities page for dates when we will be having our beginning spinning and advanced spinning technique classes. All of our spinning classes are planned with the goal of your success as our focus. Welcome 2019 ! The schedule of shows and classes is available by clicking on the appropriate tabs on the right. New classes and events just added to our Learning Opportunities section. Join us for Open Spin nights on the second and fourth Monday of each month at Long Tail Knits in Macedonia. Bring your wheel, your latest project, and enjoy the evening with us. Have you tried one of our needle felting classes? No experience necessary. No special tools. We choose a holiday or seasonal theme each month, and include a new technique with each project. Classes sell out fast but once a class is filled we schedule a second class for that project so that we can accomodate as many people as possible. The list is in our Workshops section. Loads of laughs and something special to take home each time. We are wild about weaving!!!! Curious about weaving? Our beginner class includes the use of one of our Ashford Sample It looms so that you can learn how to use the loom, make a scarf, and decide if weaving might be your new passion. This is the ULTIMATE STASH BUSTER ! The Sample It is inexpensive and very easy to use. No crafting skills required. Long Tail Knits is an authorized dealer for all Ashford products, so if a larger loom is what you want, Jeannine can take your order. We are very pleased to add loads of spinning and felting supplies to our product assortment. We specialize in longwool conservation breed sheep's wool and locks, mohair, loads of sparkly shimmery, glitzy stuff, AND alpaca, both suri and huacaya, in all forms for spinning and felting. Long Tail Knits is now a dealer for Ashford Spinning Wheels. Both the Country Spinner 2, Traditional, and the new folding Kiwi 3 models are always available for a demo at the store. I have also purchased the new Ashford e-spinner 3 and would be happy to bring it to the store for a demo. Just call Jeannine to set up a time. Check the Workshops & Learning Opportunities page for dates when we will be having our beginning spinning and advanced spinning technique classes. All of our spinning classes are planned with the goal of your success as our focus. Click here for our workshop and learning section. 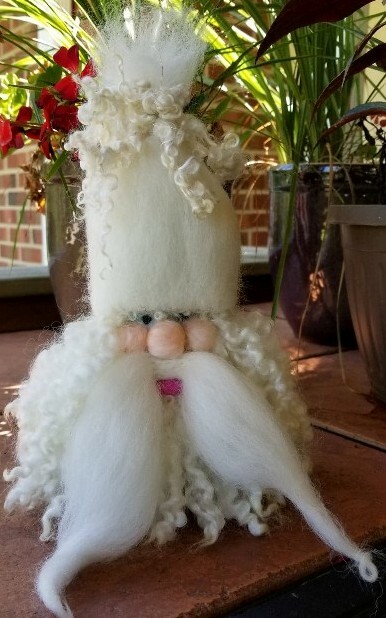 We offer holiday and seasonal themed needle felt projects every month. 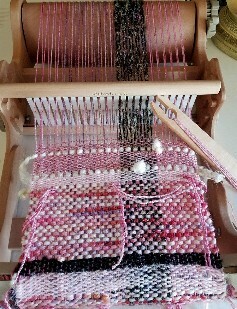 We LOVE Rigid Heddle Weaving and so will you! The perfect form of expression to showcase our artyarns and so fast, easy, and fun to learn. If you have a bit of a yarn stash and some spare imagination, there is no limit to how far you can go. From personal accessories to decorative household accessories, wow, wow, wow !! Find our shedule of classes on our Workshops & Learning Opportunitiespage. No knit or crochet skills required. If you want to experience the ultimate satisfaction of working with fibers to create your own unique yarns and then incorporating them in your knit, crochet, weaving, and felt projects, we are ready to aid you on your journey. 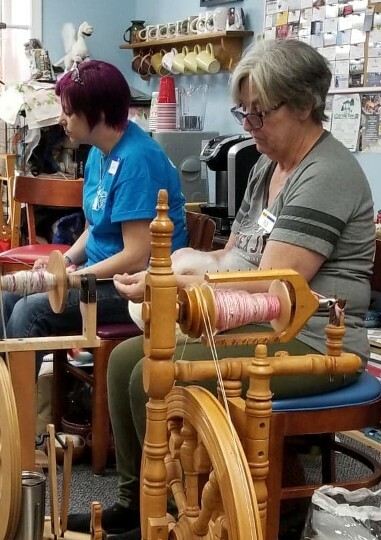 Our beginning spinning classes take place at Long Tail Knits, where you will use one of our Ashford spinning wheels and learn the basics of operating a wheel, and taking fiber from top to finished yarn. I have a passion for spinning and love sharing ! Find me in Booth 51 of the Oakmont Room March 15 to 17 at the Doubletree Hotel in Greentree, Pa. Super fun annual event! We often post pictures and our latest news there. Looking for something new and different to do with a group of friends? Try a different kind of outing for your club or special interest group. By appointment we conduct tours of our alpaca farms in either Hudson or Vienna. We also conduct seminars and workshops. Send us your email address and we will add you to our email blast list so that you will receive info on any special events.